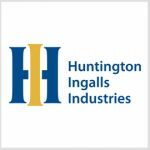 Huntington Ingalls Industries’ (NYSE: HII) Newport News Shipbuilding division will design and build two Gerald R. Ford-class aircraft carriers for the U.S Navy under a $15.2B contract modification. The company said Thursday it will construct the future Enterprise vessel, designated CVN 80, and the yet-to-be-named CVN 81 ship. Boykin added that award of the block contract will offer stability into the year 2032 for the company’s workforce and supplier businesses in the U.S.
HII received advance funds for the procurement and fabrication of Enterprise components in 2016. Work on that carrier started the following year. The Navy expects to receive CVN 80 in 2028 and CVN 81 in 2032. The company noted it plans to expand facilities and digital transformation initiatives to complete the two shipbuilding projects.